Flying Airplanes 5 Tips Beginner Pilots Should Learn! Flying Airplanes - 5 Tips Beginner Pilots Should Learn! Flying Airplanes is a wonderful fun hobby. Many beginners are fascinated by various rc model airplanes. But many new to the sport of rc-airplane-flying, do not realize some model aircraft require specific skill levels to fly safely. Listed below are five questions that will help beginners, become better educated about selecting model planes. 1. Do all rc model airplanes fly the same? No, because each model has been designed with different flight characteristics, thus allowing you to acquire new flying skills. 2. Should beginners fly advanced model airplanes? No, because they have not developed advanced flying skills that it takes to fly such aircraft. 3. Can beginners keep a model airplane in the sky? Only if they have an experienced pilot assisting them, otherwise there will be a CRASH! 4. Should beginners attempt to repair their models when a crash occurs? It really depends on how badly the plane is damaged, and also many beginners do not have the knowledge to repair a crashed airplane. 5. Do beginners know how to pre-flight a model aircraft before flying it in the sky? No many do not know, aircraft must be pre-flighted for safety before flying their airplanes. Well what type of airplane should a beginner fly then? Glad you asked that question! A highwing trainer is recommended for new fliers. Why? because they fly slowly through the sky, to help you develop your flying skills. Below is picture of a highwing trainer. If you are a new pilot, learn to fly with a trainer. 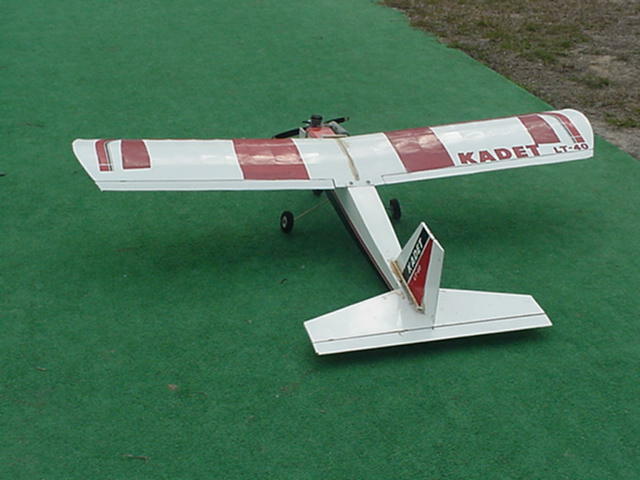 RC Airplane Trainers come in various wingspans and model airplane kits!